Nitro Games’ new game Heroes of Warland has received featuring in Google Play Store in 80 countries. 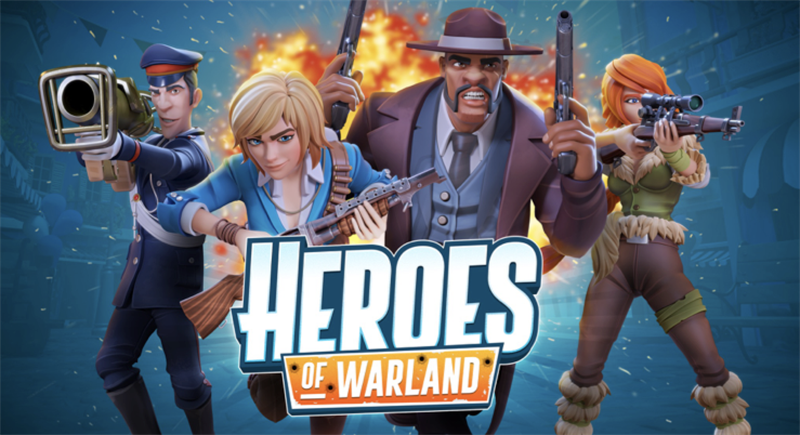 Heroes of Warland was launched on the Google Play Store on Thursday, November 15th. The game has received featuring in Google Play Store in 55 countries on the launch week and in 80 countries this week. These countries include Tier 1 markets such as the United States, Canada, United Kingdom, Germany, France, and Australia. This featuring means that the game has received additional visibility on the Google Play Store in the home view and other categories. The game has also been featured in Huawei AppGallery. ”We are excited about the ongoing launch of Heroes of Warland. This added visibility helps us to build and expand our player base. We are also supporting the launch with our marketing efforts in various countries and with new episodes of Heroes & Superstars reality show. We are continuing the launch by introducing the game to a growing audience and keeping our existing players engaged with new updates“ says Jussi Tähtinen, CEO & Co-Founder, Nitro Games Oyj. The game is now available on the Google Play Store, App Store, and Huawei AppGallery. Heroes of Warland is a team-based competitive multiplayer game on mobile. With Heroes of Warland, Nitro Games is introducing hero-based shooter genre on mobile for the first time. The genre has been highly popular on PC. Hero-based shooter means that the game has several hero characters, each with their individual skills and abilities, offering a unique and fun team multiplayer experience previously unseen on mobile.